Ronald Keiznerman has been a Registered Massage Therapist for over 4 years. Ronald graduated from Centennial College in 2013. It is there where he developed skills in assessing patients for various conditions and appreciated the powerful affects massage therapy has on patient outcomes. Ronald has a strong passion for continuing education. He has attended many seminars and advanced training workshops throughout the years. Ronald treats various conditions including but not limited to: sports injuries, injury rehabilitation, acute and chronic pain. 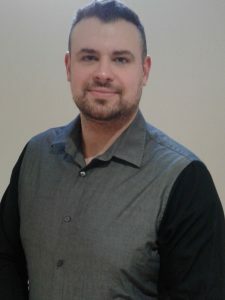 Ronald uses a wide array of techniques during his treatments including: Swedish massage, deep tissue massage, trigger point therapy, joint mobilization, hot stone therapy, myofascial release, and reflexology. He enjoys seeing clients rejuvenated after every treatment and looks forward to helping clients with their overall health.